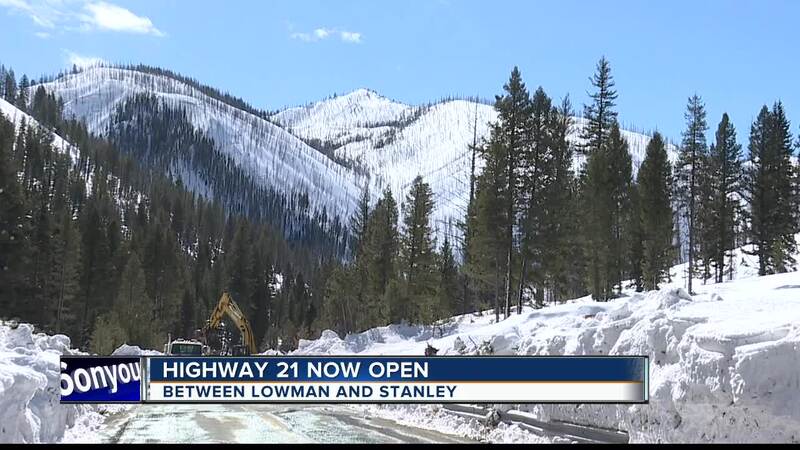 The Idaho Department of Transportation has reopened Highway 21 at Grandjean, which connects Lowman to Stanley. The stretch of highway has been closed for 25 days, because of more than 50 avalanches burying the road during and after the historic February snowfall. "Avalanche Alley" is back open. Crews have been working to remove up to 60 feet of snow off the roadway. It's a dangerous job, but crews say it's worth it to help support the people who live in Idaho's rural communities. "To support rural economies, mobility, safety. I mean, this road provides tremendous recreation opportunities and provides access to services in Boise for the communities along the corridor," said Bill Nicholson with the ITD Avalanche Team. 53 avalanches buried the highway, marking the second highest total in the past ten years. Half of those years dumped more snow than this year, but since all the snow this year came at one time, that was the biggest factor in causing all the avalanches this winter.